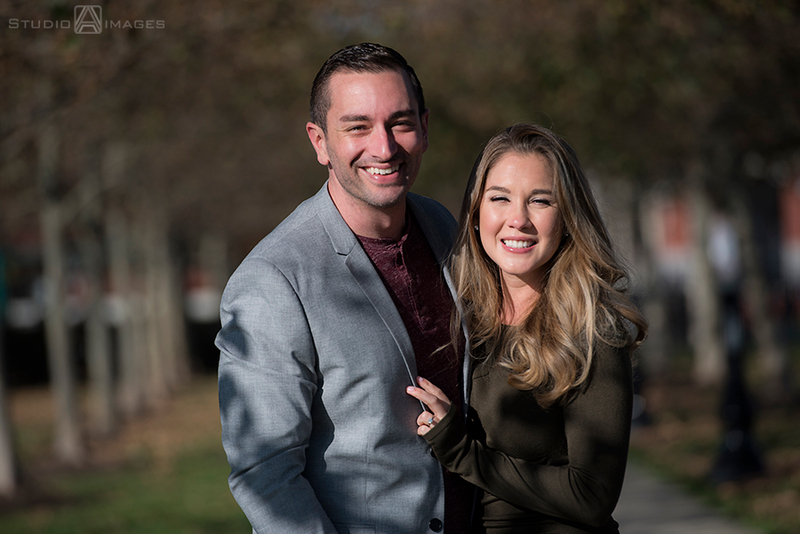 I met up with Brittany + Mike on a picturesque fall day in Hoboken for their engagement photos. We started uptown near Maxwell Place Park with beautiful views of NYC. 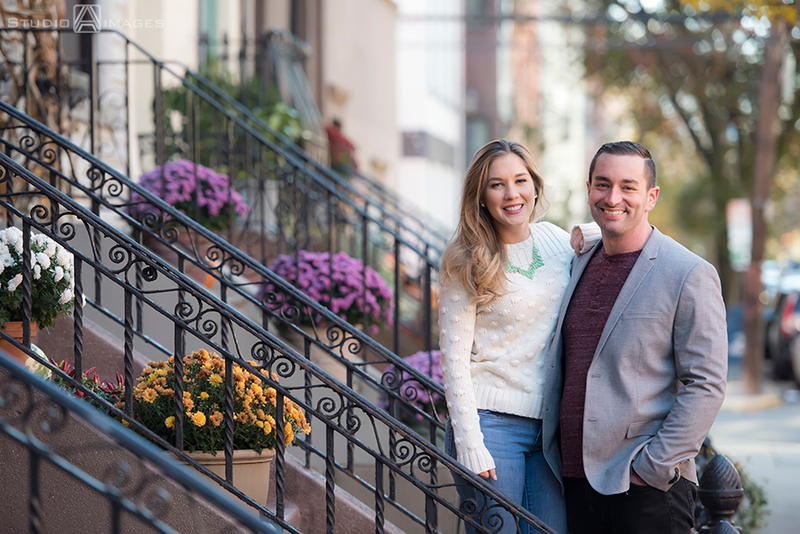 We made our way to Garden Street and borrowed a few front steps for some cozy photos before rounding out their Hoboken engagement session on Court Street. One of the homes we stopped in front of for photos happened to be where a friend of theirs lived. I can only image the fun people-watching from her window as all photographers love taking photos on her cute street!